Great gift for the newly-weds. 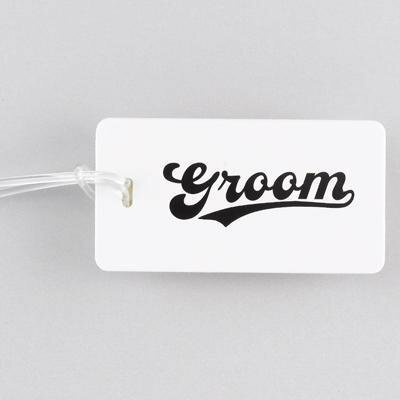 Groom luggage tags with clear strap, fun design and clear sleeve on reverse side for fill-in-the-blank address card. Size: 10.8 cm x 5.7 cm.